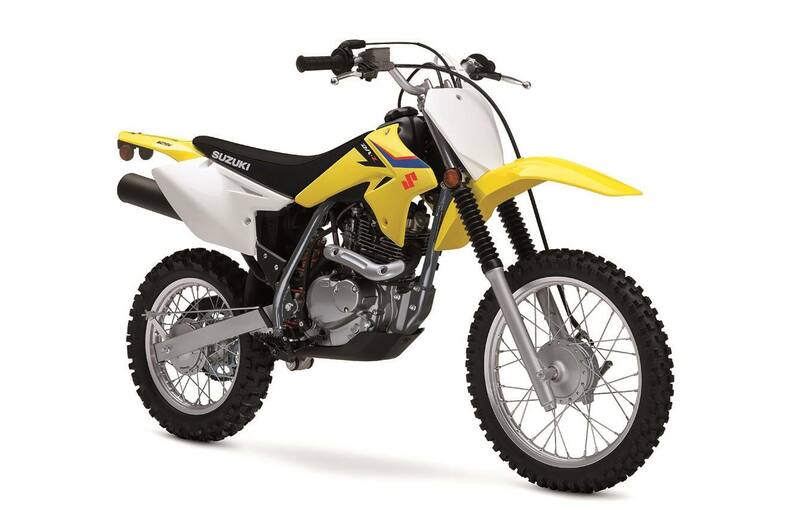 Inspired by Suzuki's championship-winning RM-Z motocross bikes, the DR-Z125 has sharp-looking fenders, number plates, and frame covers. It's lightweight and strong powerband allows the DR-Z to rise to any challenge. When you've got a DR-Z, the whole world looks a little different. You start seeing whoops, jumps, and washboards everywhere you look. 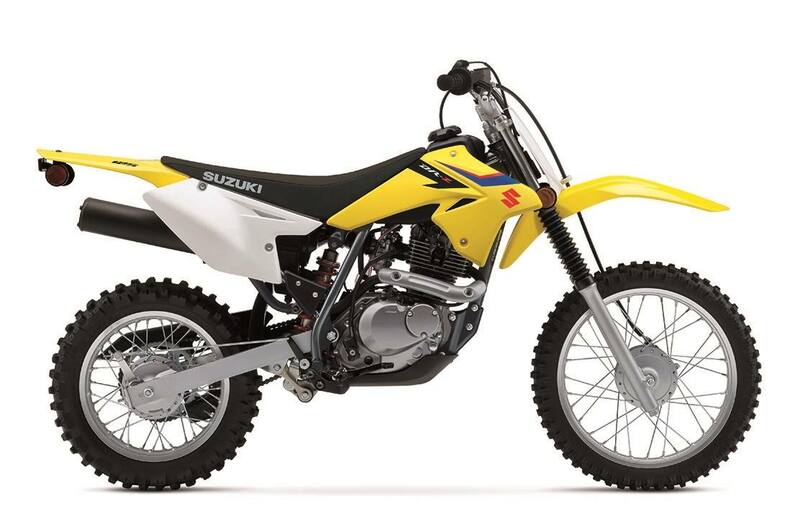 Blending race inspired looks along with an exciting entry-level off road package creates the Suzuki DR-Z125. Built around a time proven chassis and engine package. Inheriting sleek designs from its RM-Z brothers, the DR-Z125 yields motocross styling that looks good at the local track or a favorite trail. Aggressively styled bodywork, number plates and graphics built to look exactly like the race winning RM-Z competition models. Compact 124cc 4-stroke, SOHC, single-cylinder, air-cooled engine designed for ease-of operation and low maintenance. Digital-type CDI ignition system with timing set to enhance the engine's low-rpm power characteristics. Suzuki Composite Electrochemical Material (SCEM) - plated cylinder for durability, lightweight and superior heat transfer. Five-speed transmission with link-type gearshift system for precise operation and positive feel. Lightweight, high rigidity steel pipe frame and rear swingarm are designed specifically to create a compact, fully-sized off road machine. Strong braking performance provided by lightweight front and rear drum brakes. Telescopic front forks and link-type rear suspension provide long wheel travel and smooth, progressive action for enhancing enjoyable, comfortable ride. The rear shock absorber spring preload is fully adjustable for a wide range of riding conditions. Lightweight aluminum rims for reduced weight provide agile handling and improved suspension performance.